Extreme Anti-Seize Lubricant is one of the easiest ways to avoid galling and seizing of fasteners. Thread galling is a common problem encountered when using all metal bolts and nuts. 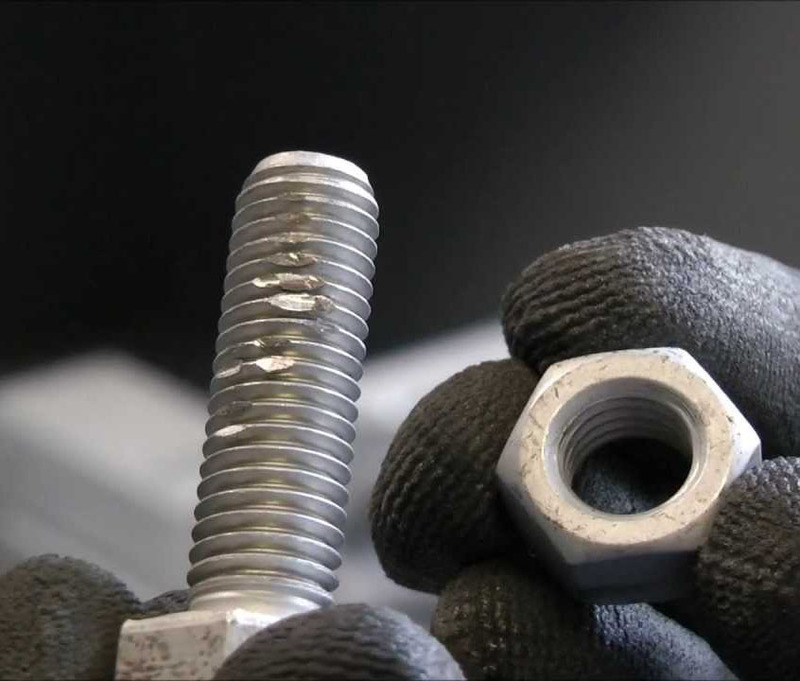 When thread galling occurs, the fastener is not just over-tight, but actually cold-welded as a result of friction, pressure, oxidation and corrosion. There are some simple steps you can take to minimize thread galling, and one of the simplest is to use Extreme Anti-Seize. Extreme Anti-Seize is a specialized formulation of molybdenum disulfide and surface modified synthetic graphite. This blend effectively prevents metallic contact and minimize abrading. Furthermore Extreme Ant-Seize is suitable for use in high temperature applications ranging from -65°F (-54°C) to 2400°F (1316°C). Extreme Anti-seize can be used on any of our specialty metals and will be resistant to most corrosive media as well. For more information on additional methods to prevent thread galling, please visit our blog.